RAPAPORT... A client of the Gemological Institute of America (GIA) wrongly submitted a natural diamond as a lab-grown stone, the organization said. The GIA’s Carlsbad laboratory recently received the round brilliant, 2.23-carat, D-color diamond, which the customer had sent in for a synthetic-diamond grading report. “When a declared synthetic diamond is submitted to a GIA laboratory, it is not often that the diamond turns out to be natural,” GIA analytics technician Garrett McElhenny and senior research scientist Sally Eaton-Magaña wrote in the Winter 2018 edition of Gems & Gemology, the institute’s quarterly scientific journal. It was easy to mistake the stone for one created using High Pressure-High Temperature (HPHT). 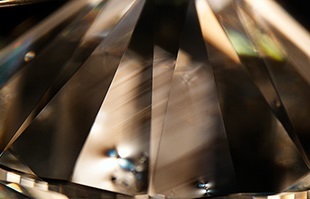 It had no clearly visible “strain” under detailed optical inspection — a pattern of lines that is usually absent in HPHT diamonds. The GIA only spotted the feature in a few scattered areas of the diamond following extensive efforts, it said. Further tests confirmed it was from the earth, but also revealed additional pitfalls: The stone contained dark, natural inclusions that others might have mistaken for metallic flux, a common feature of HPHT diamonds, the institute explained. “Subsequently, the client indicated that this stone was believed to be synthetic after examination by another party in the trade,” McElhenny and Eaton-Magaña reported. 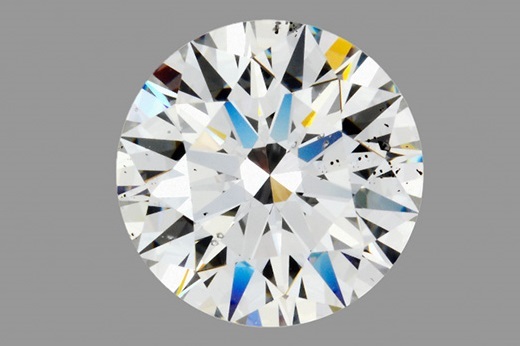 The case proves there can be exceptions to the general guidelines for distinguishing between natural and lab-grown diamonds, the authors added. “In this case, the correction worked to the client’s advantage,” they observed.